Are you looking for the best productivity apps to improve your efficiency and speed up the work? If so, you have reached the right post. There are tons of productivity apps for Windows PC which you can use for writing, preparing presentations, project management, and others. Explore the web and find a suitable software, to create and manage your tasks. From planning to client submission, they will assist you in each and every point. This post shows the 15 best productivity apps for Windows. Use them effectively to strengthen your ability to finish the tasks within the deadline and get praised by your employers or colleagues for what you did. 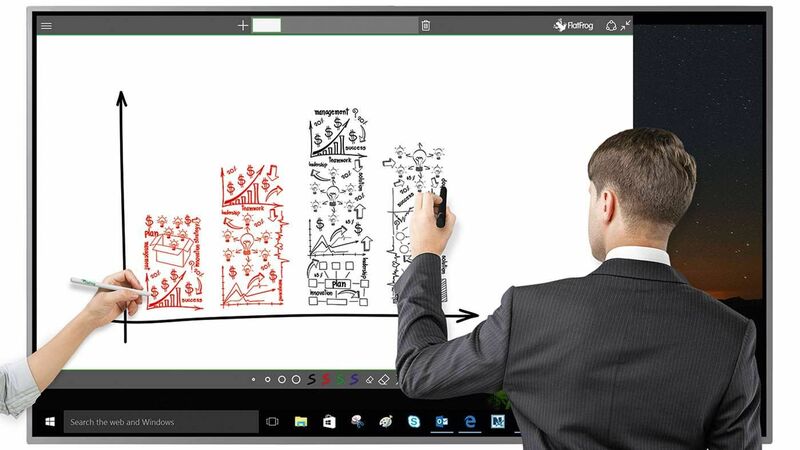 FlatFrog Whiteboard is one of the essential productivity apps for taking classes and presentations. It will turn your PC into a smart whiteboard and lets you write, draw on the computer screen with touch and pen support. Users can easily draw a chart, picture on the whiteboard and use the eraser to make changes. Multiple users can use the app at the same time. Save your work and share it via email or print if needed. 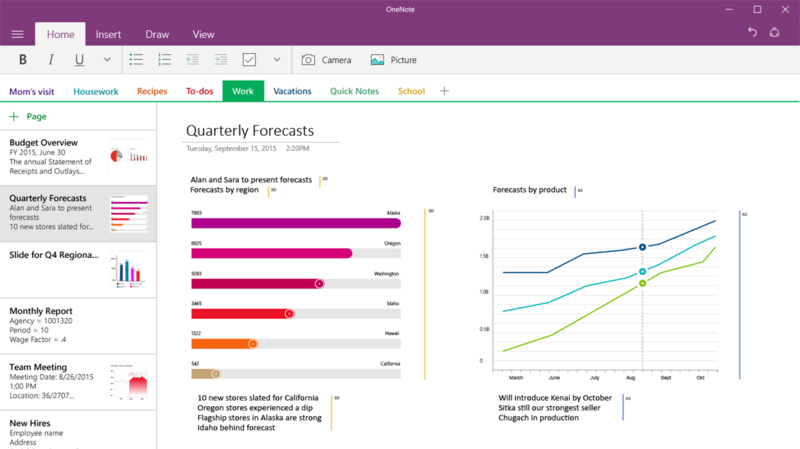 OneNote is a great app for project management and enhance your production workflow. You can write notes, prepare to-do lists, draw project ideas, design charts, prepare meeting agendas and much more with this allrounder app. OneNote comes with touch and pen support. So you can write anywhere on the screen to share your thoughts and save contents in separate notebooks to organize them in different sections. 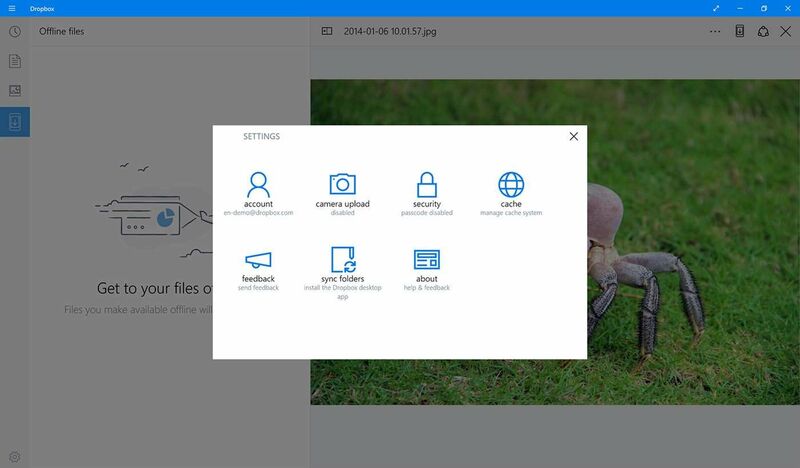 Dropbox is our favorite cloud storage service to save and share documents, photos, videos, and others. It offers 2 GB of free storage to all subscribers and it can be upgraded to any extent through affordable monthly plans. The files are automatically synced across the devices you use. So you can access Dropbox contents from anywhere using a computer, smartphone, or tablet and you will get the latest file version with all changes made recently. The cloud storage service is integrated with several office management tools and other services to seamlessly work between them. Dropbox’s cross-platform abilities and third-party integrations will make your work easier and flexible. Drawboard PDF is one of the popular productivity apps in handling PDF documents. It is able to create and manage PDF files – new documents, open existing files and annotate or highlight texts to invite the reader’s attention, add a signature and more. 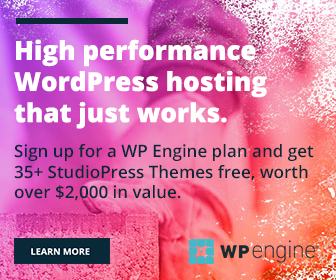 It has a user-friendly interface and lets you merge the multiple documents, customize the design and layout, and upload images to give a unique look to the PDF you created. Alarm Clock HD is one of the free productivity apps to give a perfect start for your day. 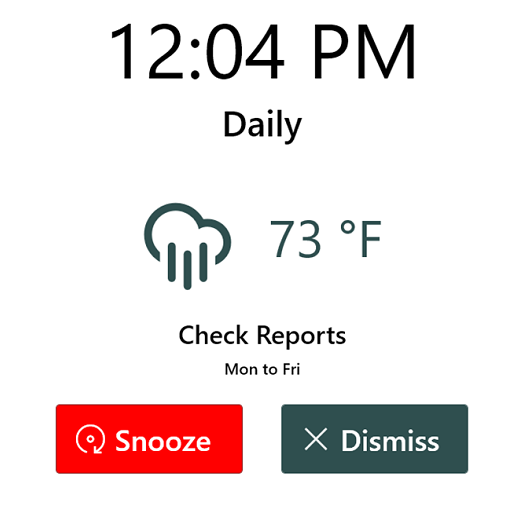 It is not just an alarm app and it comes with several built-in tools like world clock, weather, music player, Facebook feed, sleep timer, room light sensor etc. Choose your favorite song and set it to play at night for a chosen duration to make you sleep. It is highly customizable and lets you create unlimited alarms, and beautify the alarm screen using default or your own picture themes. Alarm Clock HD can also show the latest currency exchange rates in the screen and wake up your device from the sleep at a scheduled time. 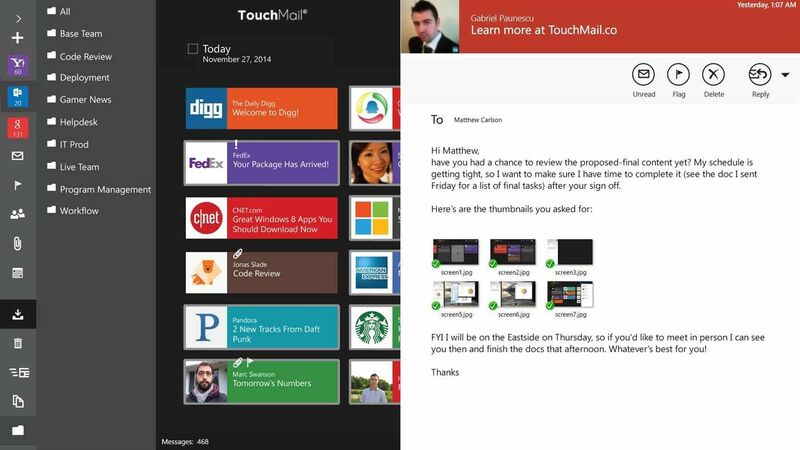 TouchMail is a beautiful email client for Windows. It helps you to read, compose and manage all your emails from a single dashboard. The app has powerful filters to easily identify and sort your important emails at a glance. It is a clean and fastest mailing solution which works with Gmail, Outlook, Yahoo Mail, iCloud, AOL, Office 365 and most of the IMAP email accounts. You can attach files to email or upload them to cloud storage services like DropBox, Google Drive, OneDrive and Box. 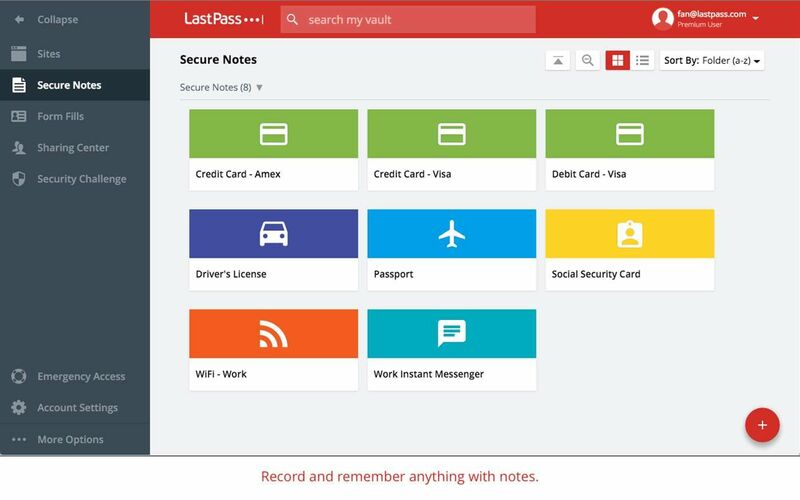 LastPass is one of the cross-platform productivity apps to create secure passwords and memorize them to quickly sign into the websites. It will track your passwords as you type and seek your permission to save them in separate folders which you can access them from any device for login. LastPass stores your data in military-grade encrypted servers to protect them from hacking attempts and other cyber threats. So your passwords are safe and no one else can view the credentials stored in your account. Evernote is our favorite tool for project management and improving collaboration with the teammates. It allows you to create notes, scan documents, annotate images, collect web contents, and more. You can make the notes rich by adding audio, video, images, web clippings to easily convey your message to others. 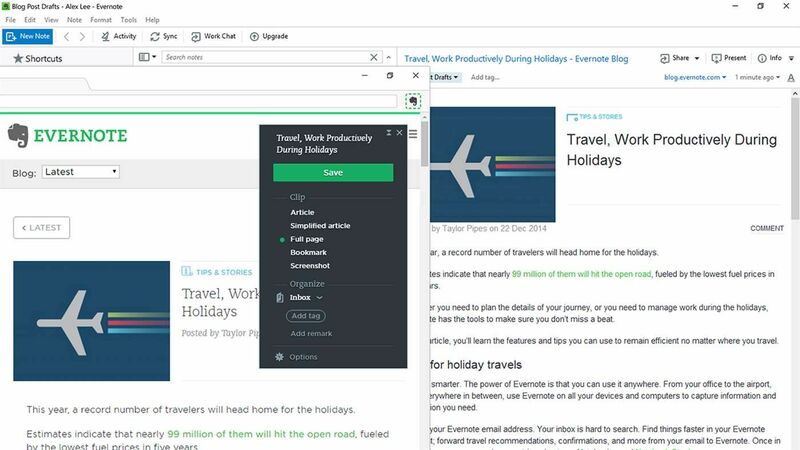 Evernote is an all in one tool to efficiently manage your tasks and boost productivity. Create to-do lists and checklists to assign responsibilities to your team members with a deadline to finish. Evernote is an incomparable app for the companies to handle their projects, client presentations, and prepare internal work schedule. Office 365 is one of the well-liked productivity apps to create and edit documents. It is packed with Microsoft Word, Excel, and Powerpoint that helps you to manage regular super-rich text documents, spreadsheets, presentations, and others. The files can be saved either to your local storage or OneDrive to access them later irrespective of the device or the platform type. All your contents are automatically synced in real-time to keep your team members updated with the latest changes. Translate text and speech to more than 60 languages around the world. 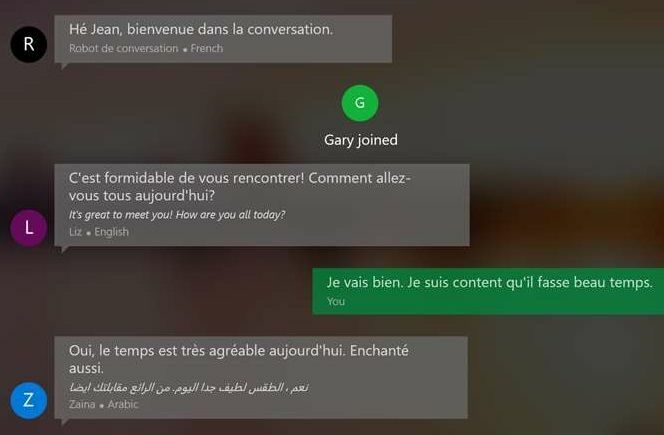 Translator app can translate your conversations in real time and lets you share it with other apps. You can also translate images and download languages to the computer for offline usage. 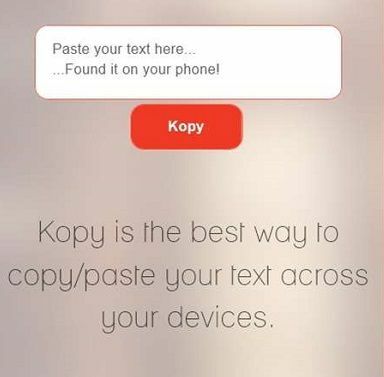 Kopy is a revolutionary tool to copy paste texts between the devices. Copy your text from the computer, paste it to gokopy.com and receive the text on your mobile, tablet or vice versa. Install the app on your phone or the browser extension to quickly send your text to another device. 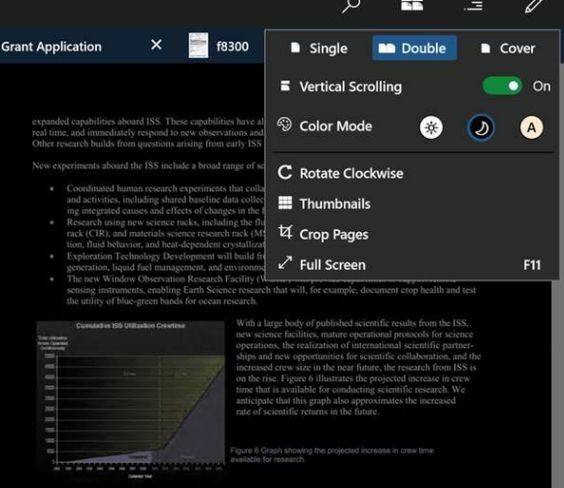 Xodo is another Windows app to read, edit and manage PDF documents. It delivers a faster, smoother reading experience on computer, smartphone, and tablet. Xodo is free and enables you to write and draw on a PDF file, highlight and underline texts, insert and rearrange pages, merge multiple documents, scan pages using your camera, sign in to documents etc. It is one of the best free productivity apps that will add a unique value to your documents management and give a professional touch to it. Can we forget Google Drive? It is one of the essential productivity apps that every business should use. 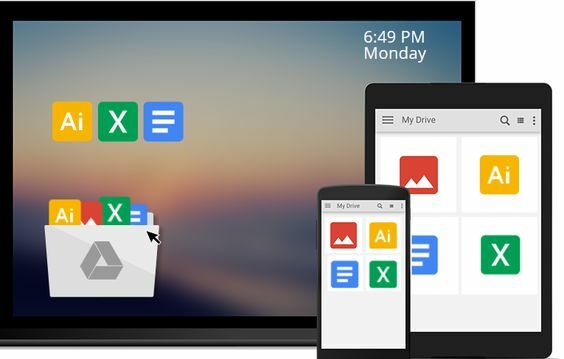 Google drive supports saving of documents, photos, videos, and even backup files to securely store your precious contents into Google’s own cloud storage vault. There are several apps that help you to automatically back up your computer and website to Google Drive to safeguard your business against unexpected loss. Google offers 15 GB of free storage to all subscribers and you can upgrade it to higher storage options through budget-friendly plans that fit every pocket. It is well connected with Gmail, Google Docs, Sheets, Slides, Google forms, and over 100 Drive apps to find new opportunities that will enhance your efficiency in achieving the results. 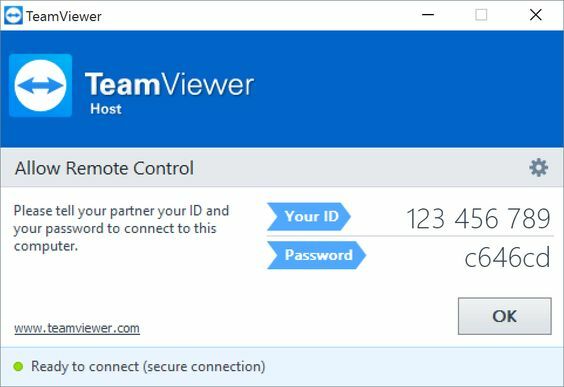 TeamViewer is a free Windows app to remotely control any computer within seconds from anywhere even on the go. It allows you to provide computer support for anyone or access own computer contents from a smartphone you have. Switch on your computer remotely, open applications, and manage remote computers or servers as if you were sitting infront of them. Enpass is another productivity app to save your passwords. It helps you to create a strong and unique password, for email and other web accounts. 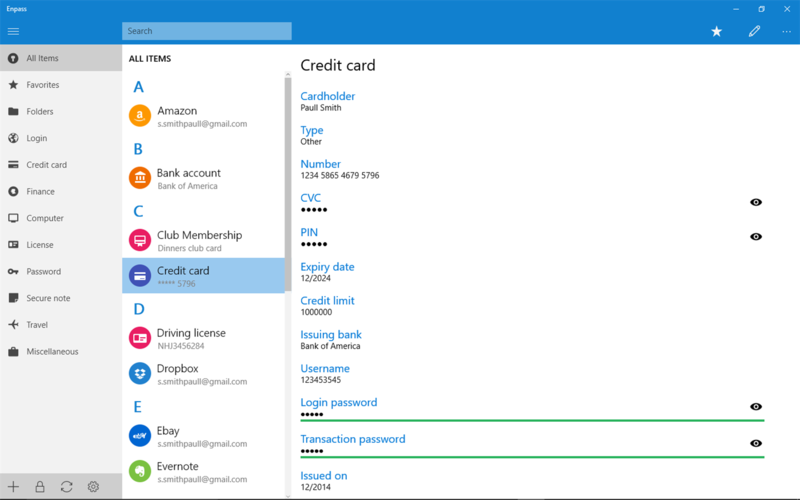 Store your credentials in an encrypted vault and recollect them whenever you want. Its scope is not limited in just storing passwords. You can also save bank accounts, credit cards, driving license, passport, and secure notes into Enpass and protect them using a master password. Are you using any productivity apps? which is your favorite app that you can’t live without?